These are a few of our favorites for the month of July. 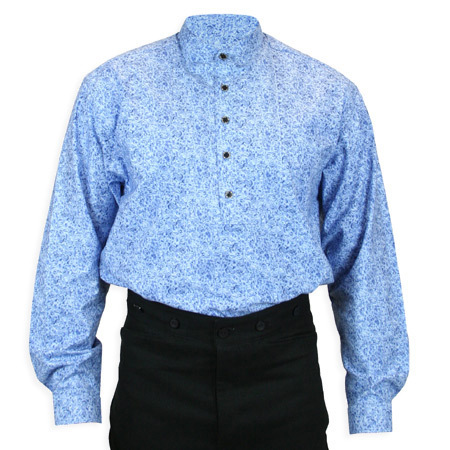 Joshua Shirt – Blue – Wedding Day Hit! I purposely purchased this shirt for a wedding I was attending. The couple are reenactor’s so I wanted to impress them. The shirt was a hit! The bride loved the color and the groom especially loved the buttons. Another great purchase from Historical Emporium. 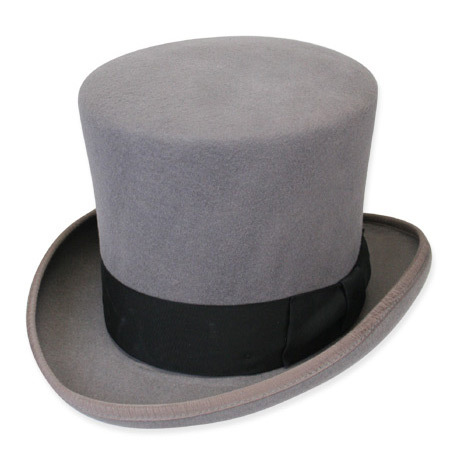 Victorian Top Hat – Gray – Gray top hat – perfect! Excellent! This hat is beautiful and as a bonus, fits me better than all my other hats. Too bad I can’t give it more than 5 stars, it rates about 10! Great quality for the price. 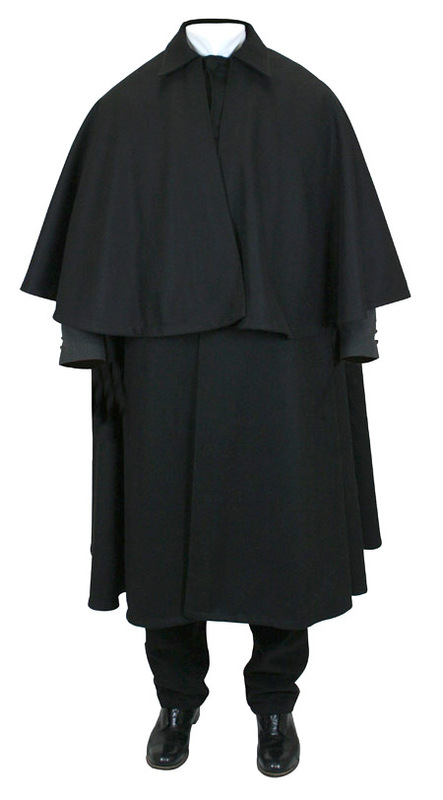 The fit of the cloak is not close, it is draped. So I had some of the material taken in on the sides, which may be a regret if I get any bigger. The seamstress mentioned it was finely made, and I agree. I use in in inclement weather worn over my kilt and jacket, and the arm drapes leave me free to play bagpipes but remain warm. I recommend this cloak and the shipping was fast. Most of the neck wear selection items available anywhere are fastened with a clasp, which of course is not period correct. I’m on the lookout for items which must be tied by hand, so I gave a couple four-in-hand ties a try. 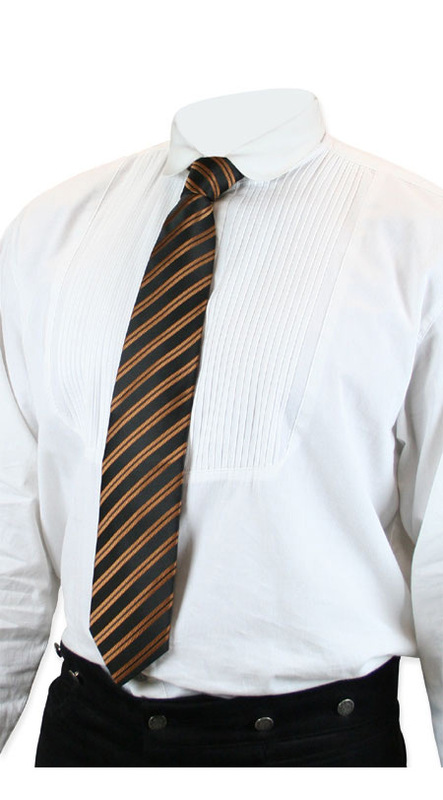 Except for the pattern on the material, they are much the same as modern neck ties, which is because this style of neck tie was the predecessor of the modern article. The material is a little thicker than a high quality modern tie, but worn with a stand up collar where the entire tie is exposed, the four-in-hand tie accomplishes a period correct look. I chose this tie because I have a black frock coat and a brown frock coat, in the hopes this tie would work for both, and it does. The price point was excellent and I’m happy that I have yet another authentic option for my wardrobe. 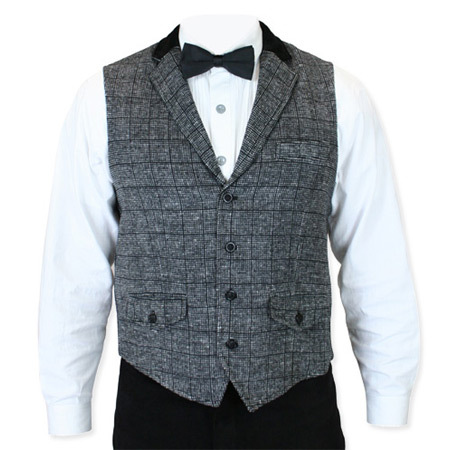 I got more hugs from women with this vest on than any other vest I have! If you are looking for something that you can dress up in, stand out it, role play in, have fun in, …this is a piece that does all that. Yes it’s a couple of bucks (especially with exchange rate these days) but it’s worthy. I’m very happy with the first order I made. 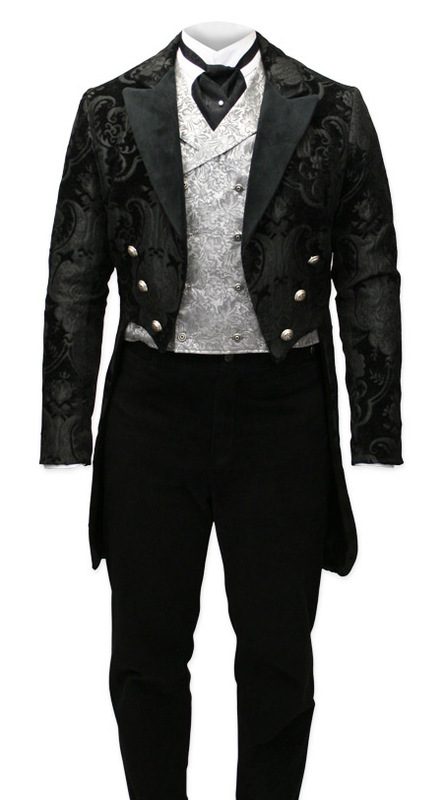 I decided to make a second order with a few items to go with this jacket and a second outfit for an up coming trip to NOLA.